“We need to protect gardens that do exist long term so they’re not just seen as a temporary solution to beautifying a lot. Seeds start small but can have a big impact when they sprout. Community gardens take the potential of seeds, whether for a tomato plant or for neighborhood change, and give them care needed to bloom. There are nearly 90 community gardens in Allegheny County, Sorock says. Grow Pittsburgh has helped start more than 30 community gardens since 2010. 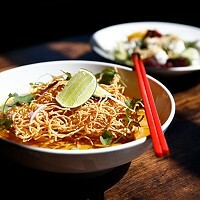 Its goal is to bring food directly to communities. Sorock sees community gardens as a focal point for people to learn what is happening in their neighborhoods. 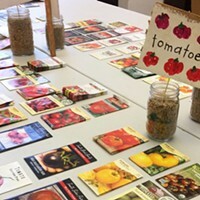 Connecting with ancestral memory and continuing family gardening and food traditions is also a reason people frequently cite for participating in these projects. 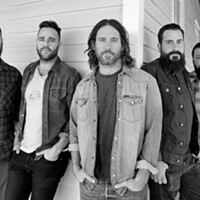 “People say ‘I remember learning to garden with my grandmother or father and I really want to get back to that,'” says Sorock. 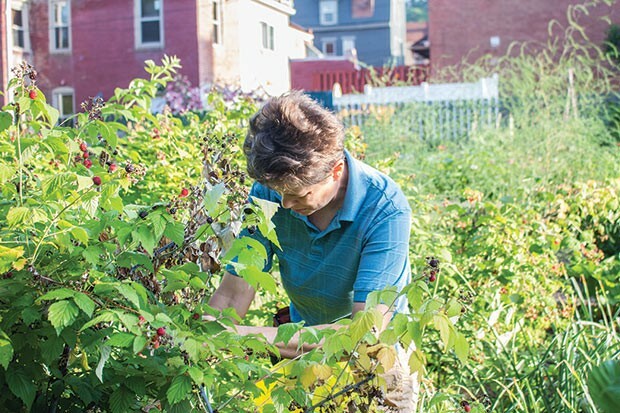 FOR PEGGI HABETS, a two-year member of the Olde Allegheny Community Garden on the North Side, participating in her garden is the continuation of the gardening she’s always done. “Prior to moving to the North Side, I always had a big backyard to garden. Now I have a stamp-sized one,” she says. Habets helps an elderly neighbor weed. She trades produce with other gardeners. She takes extra food to people who live in subsidized housing. Jana Thompson, who has run Olde Allegheny for the past decade, views this community garden as a work of public beauty and art. Her predecessor was Randy Gilson, the artist behind Randyland; he installed much of his art throughout. Thompson picked up the torch. Olde Allegheny is a garden that requires dues, and Thompson uses the $30 annual membership fee to fund art purchases and maintenance costs. “We’ve bought art, a sculpture and put in a rock garden island. Every couple years we can do something,” she says. Thompson also oversees the food pantry at North Side Common Ministries. Extra food from Olde Allegheny is donated to support the needs of between 500-800 families that are supplied monthly by the food pantry. 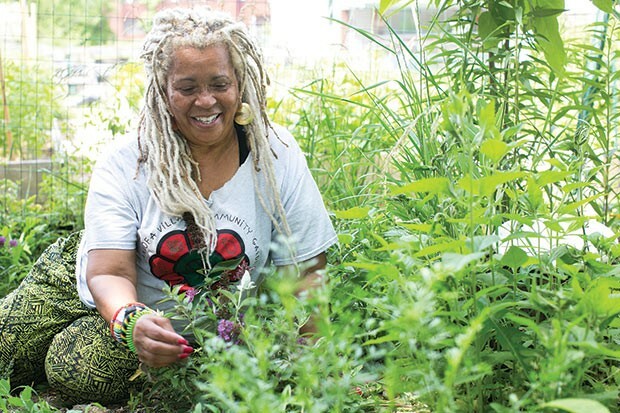 FOR VIKKI AYANNA JONES, founder of Sankofa Village Community Garden in Homewood, community gardening is a way to radically and positively impact her community. Walking around Sankofa Village with chef Jackie Page-Heidelberg, these two women check on plants and sample strawberries in a garden that Jones considers her second home. “This is a university. This is our urban agricultural university,” she says gesturing to the large lot full of beds. A possibility for any community impacted by systemic racism, food apartheid disproportionately affects people of color. Sankofa Village focuses on children and youth programming as a building block of the community. 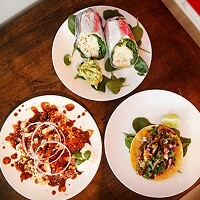 “There is such a big difference between just seeing [the food grow] and actually planting it, growing it, harvesting it and being able to cook and eat it,” says Page-Heidelberg. 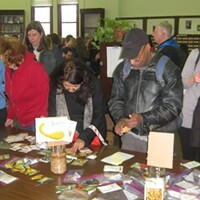 Jones says she sees children connect with gardening and the origin of their food. Sankofa Village is also home to a Learn and Earn Program for which kids become eligible at 15. Each worker makes minimum wage and is encouraged to give a portion of earnings to their families — a lesson of financial responsibility and growth. A small portion of Sankofa Village’s food is sold to fund teaching of entrepreneurial skills, but most the food grown is given away to the community. Volunteers line a fence with bags of food for people to take, and they make sure their senior corner neighbors get a share of the produce. New programs and additional lots are planned at Sankofa Village. Members are at work on adapting a vacant house for hydroponics, a teaching kitchen and a community store. The George Washington Carver Peanut Butter House will support existing programs and function as another gathering place for neighbors. 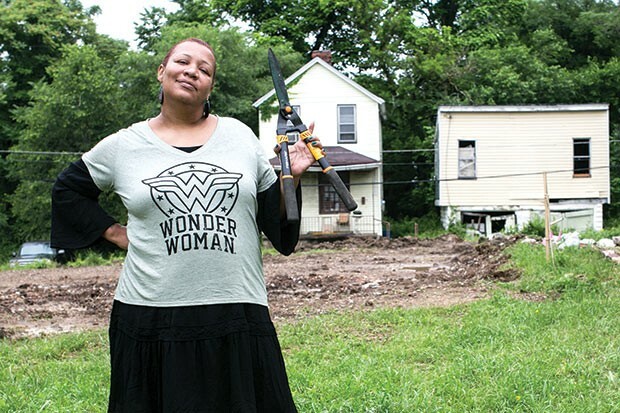 DOWN THE STREET, Raqueeb Bey is starting another community garden constellation in Homewood. Founder of Black Urban Gardeners and Farmers of Pittsburgh co-op, Bey and 20 fellow members are starting Phase One of a three-phase plan to build hoop houses, a healing garden, food and pollinator gardens and, eventually, a small grocery store. The current focus is on organizing a first plot with a pollinator garden and flattening ground for hoop houses. Bey says she is also partnering with Harambe Black Arts Festival and Homewood Food Access on a new farmer’s market. All of this community work, whether for small reasons or big dreams, demands resources and time. Grow Pittsburgh is dedicated to maintaining all community gardens. “We need to protect gardens that do exist long term, so they’re not just seen as a temporary solution to beautifying a lot,” says Sorock.